Every year, some 200,000 people set out on the world's most famous pilgrimage route - 'the Camino', designated a World Heritage Site in 1993. Actually a network of paths with numerous starting places in France and throughout Europe, all routes converge to lead along Spain's northern coast to Santiago de Compostela. Here the shrine of St James, the patron saint of pilgrimage, was discovered in the 9th century. 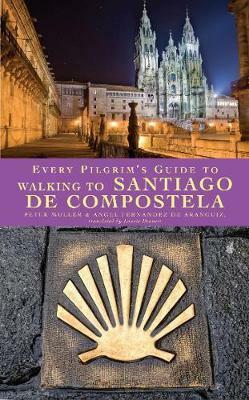 2010 is designated as a Holy Year for Santiago and this guide is co-published with the Confraternity of St James, the UK's leading organisation for promoting pilgrimage to Santiago. Already the preferred guide for German and Spanish pilgrims, this new English edition will be widely welcomed and officially recommended. A mix of practical information and spiritual inspiration for walkers, it offers a stage-by-stage guide pointing out places of interest along the way; practical tips for walkers; prayers, blessings and spiritual exercises to nourish the pilgrim spirit and deepen the pilgrimage experience. It is Illustrated throughout with maps and photographs and is conveniently pocket sized.